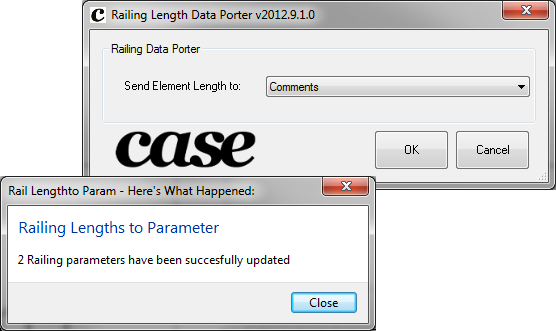 "You cannot tag the Length parameter for railings in Revit 2012. This tool will allow you to select a parameter that you want to send the length for each railing in your model to for the purpose of tagging their length. This is a super easy and common workaround for tagging Egress path distances. Using railing means you can use arcs, straight distances, and even ramps in your egress calculations. Railing will also display in 3D making them an even sexier option for an Egress workaround..."
This free add-in may be downloaded from the Case Apps website.